The Callas Recordclamp has been created out of a never ending quest for best sound with the cherished Vinyl. The Callas Recordclamp is handmade through a specific procedure which ask for skills and experience. Most exotic woods have been used and listened through many prototypes. 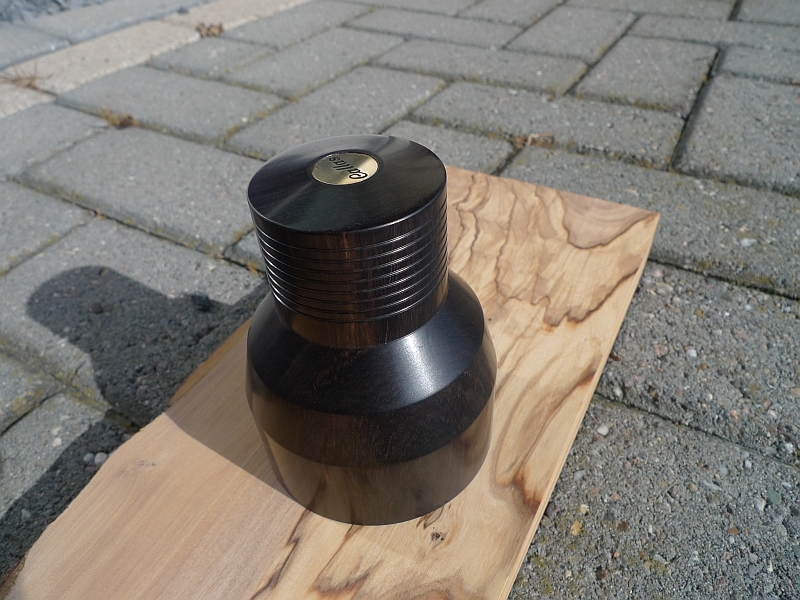 The African Blackwood Dalbergia Melanoxylon is the only wood which brings this magic sound besides offering the ideal weight of 550-560 gramms to adress the starting point of flatten the record. Using the Callas Recordclamp means no return possible: Once listened once sold. The last 10 years has seen a huge drying up on African Blackwood resources in the EU. There are still fair supplies of ordinary Ebony woods but mainly (too) small pieces. We only work with AA instrument quality which is now imported directly from East Africa and this comes at a hefty price ex timber mill, not yet mentioning shipment cost and import fees. 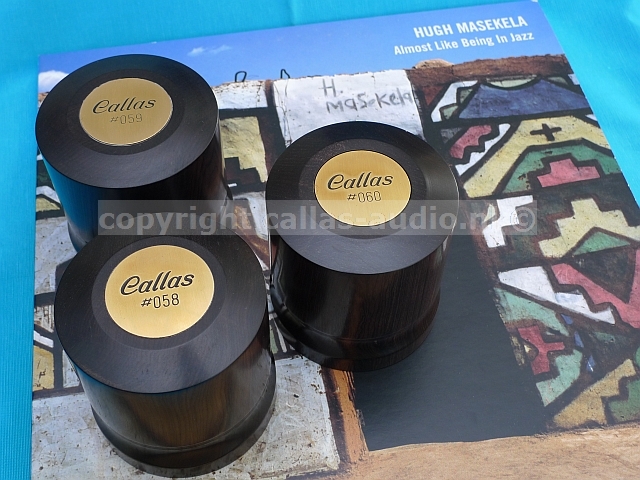 Producing the Callas Recordclamp and by working with African Blackwood for two decennia we do not compromise on quality and thus sound. At the same time the price is still reasonable due to direct sales. The AA instrument quality takes two years of drying at the African timber mill, and some time in our living room after final production. There is a limited production capacity. 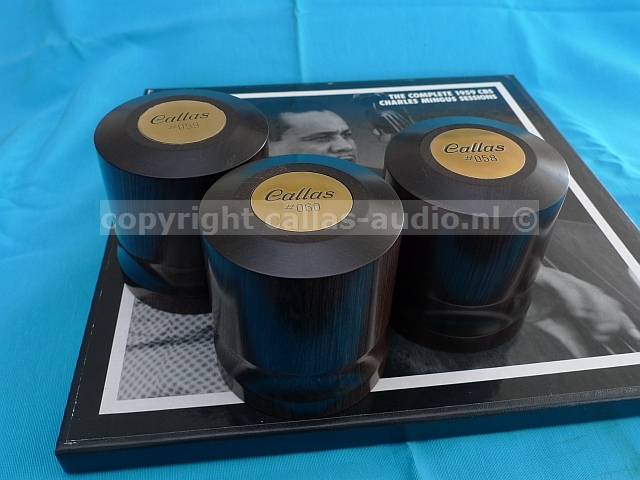 The Callas Recordclamp 594 euro. Alternative creation, around 430 gramms weight.